Exo Terra Lamp Holder Bracket | Livefood UK Ltd. The Exo Terra Light Bracket easily adjusts to fit most types of fixtures or can be used to regulate heat/light according to required terrarium conditions by moving the rubber washers. 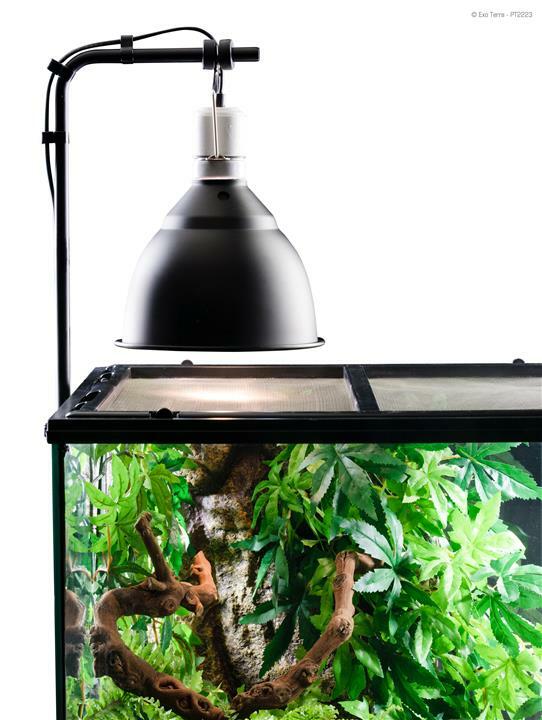 Since the bulbs do not need to be moved after installation (together with increased ventilation) the light bulbs (basking lamps, Solar Glo, etc.) life span is drastically improved.